Complete your 50s Halloween costume with these 50s Summer Daze Glasses. 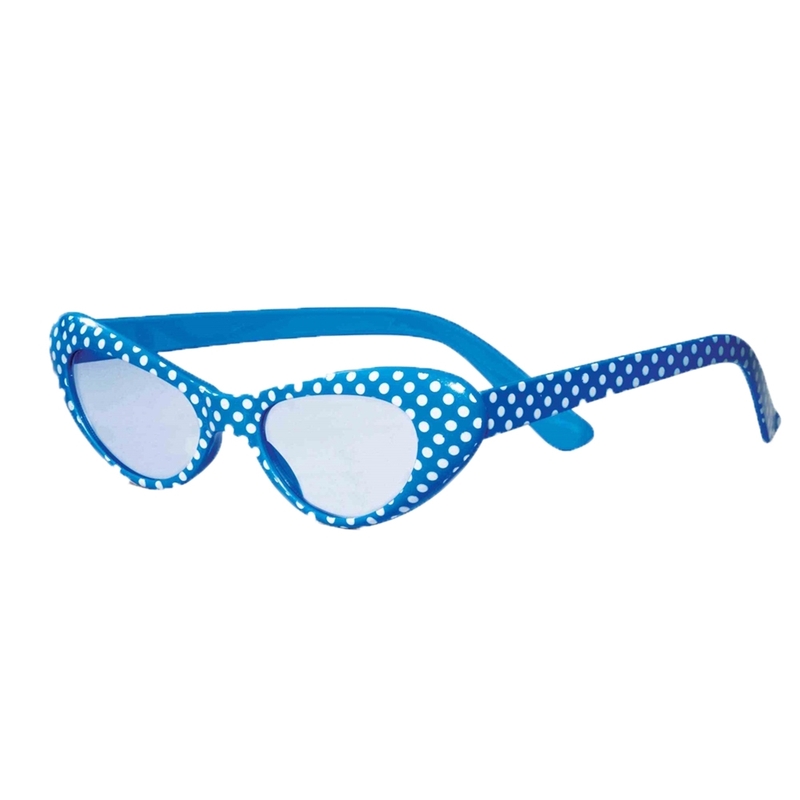 The 50s chic sunglasses feature blue plastic frames with white polka dots and black shades. Perfect for Halloween, these retro sunglasses are also perfect for theatrical plays and 50s themed parties and events.